Coming to Sun World Halong Park after Halong bay cruise tour is the best option for all visitor. Stirring the sky in the entertainment area is the most popular in the Gulf of Tonkin is certainly a great drug to you to recharge, get excited to work it! 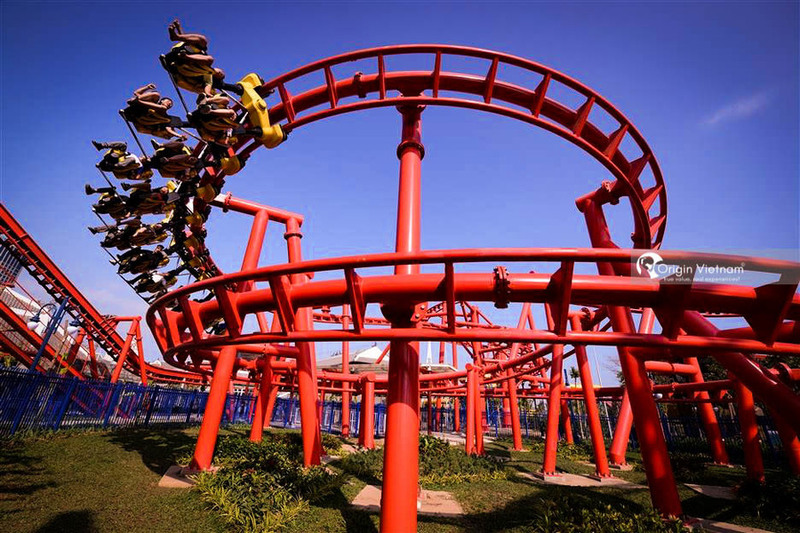 On an area of 214ha, Sun World Halong Park is a complex of world class amusement park. It's located in the beautiful area of Ha Long Bay. Come to Sun World Ha Long, surely in addition to the new entertainment experience. You will also discover and feel the new angle is very different from the heritage city of Ha Long. 2. How to go to Sun World Halong Park? If you go from Hanoi, you can catch Kumho, Duc Phuc, Phuc Xuyen ... Or any car to Mong Cai, His, Cam Pha at My Dinh bus station with fares from 80,000 to 120,000 VND depending on the type of bus. Then, you can get off at Fish Pond, Bai Chay Crossing or Halong, then take a taxi or bus (03 Hon Gai - Hoanh Bo Line) to go to the park gate. Sun World is about 3-4km away. Or you can book at the luxury car as Phuc Xuyen, Ha Vi, Anh Huy, Green Ha Long with 200.000 VND. This car will take you directly to Sun World Park. If you go from Hai Phong, you go to Lac Long wharf to Mong Cai and go to Ha Long. Then continue to catch the bus or taxi to the park. If you go to this are after your overnight cruise Halong Bay. You can take the taxi - From Hong Gai or from Tuan Chau. 3. What is so attractive at Sun World Halong Park? 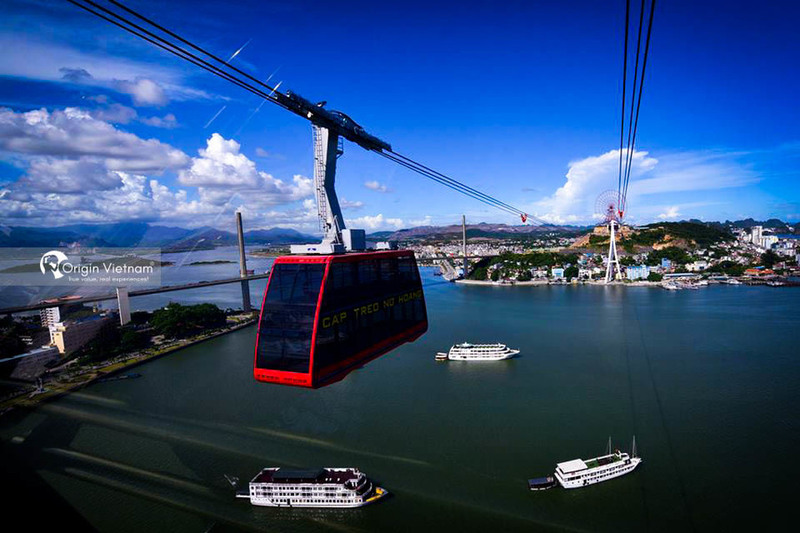 Sun World Halong Travel Complex is currently divided into two separate areas are coastal amusement park and playground on top of Ba Deo - are connected by a unique cable car system. For fun in these areas, you have to buy two tickets for each zone. Although newly opened and quite crowded but you are completely reassured not to worry queue long because there are many ticket stalls ready to serve you. Situated on the beautiful Bai Chay beach with a large area and many attractive games including Dragon Park. Coming to Dragon Park, it will be a world of adventure games opened before your eyes. 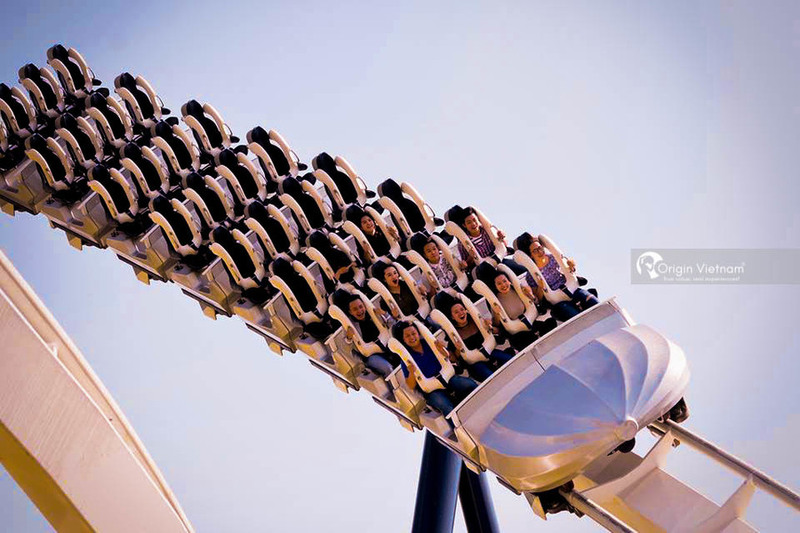 Try Phi Long Express - roller coaster "terrible" in Vietnam. Follow the dragon footprint, Pirate Ship ... ensure that will be the experience that you can not forget. If you travel with family, the fun and attractive games. Such as Mystery Journey, Magic umbrella, Cyclone Dance, Reptile Army ... will be worth the try. 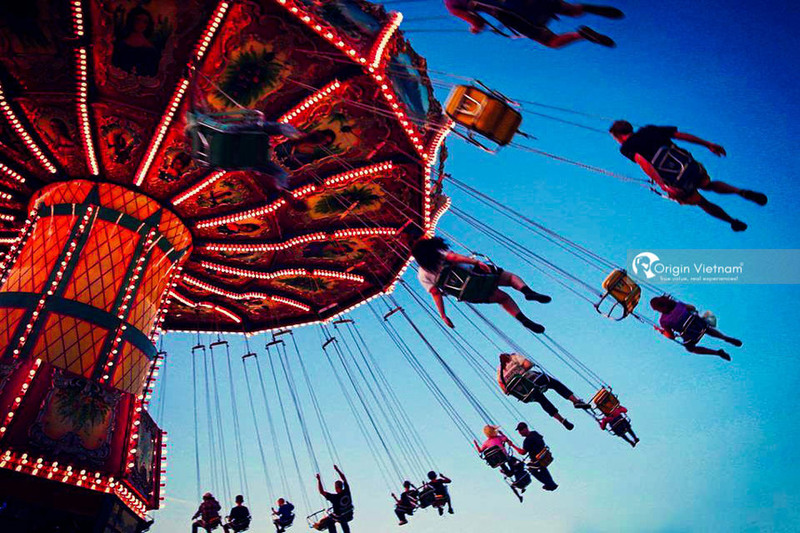 Just buy the tickets, you can enjoy the great games in the park and the unlimited number of times. Is not it great? Besides, the water park named Lung Xoay Bay is one of the highlights cannot be missed when coming here. And do not forget to visit the Sea Village to learn more about the cultural delights of the subtle or simply dropping on the coast of Ha Long Bay with clear blue water and fine white sand is also a good option. Where? You may be interested in All things need to know before travel Halong bay here. After enjoying the sunshine and beautiful blue sea, Sun World Halong will invite you on the journey through Ha Long Bay to reach the peak of the Three Gorges. This journey connects Ocean Station to the Solar Station. You are sitting on the reversing cable system for the first time in Asia with two-story cabin holding two Guinness record of the largest cabin and the highest cable car in the world. there. Do not forget to check out a beautiful photo! Step into the sun station, do not gasp astonished by an impressive building with a bold architectural Japanese will welcome you called the Mystic Castle. This playground seems to be taking you to the ancient Edo Courts of the distant sun. Meeting the Goddess: Here, you will have the opportunity to see first hand and take pictures with the famous characters. Experiencing the elaborate process of over 500 body measurements over 90 days of famous artisans, each wax statue is the perfect replica of celebrities such as Brad Pitt, Angelina Jolie, Jackie Chan ... What a great way to take pictures with your idols with the most genuine feelings. Game World will bring you back to classic slot games that have fooled the previous generation. Surrounding the Mystic Castle is Japanese Garden - Zen Garden. Inspired by the well-known Okayama Korakuen Gardens, the sophisticated and sophisticated design of the hands of Japanese artisans and professionals is sure to be a mecca for those who love photography and who enjoy virtual life. In addition, from here, you will see the distance from one of the most beautiful corners of the heritage city of Ha Long, which you have never seen before. Standing on the top of Three Gorges at 215 meters above sea level. The Sun Wheel - or the Sunset Circle is one of the highest panoramic views of the Halong Bay. Why do not hesitate to try a round of the Sun Wheel to capture all your eye to a beautiful Halong Bay. Travel advise, see also : Halong Bay tours. But you know, the best time of the Solar Cycle is at night. 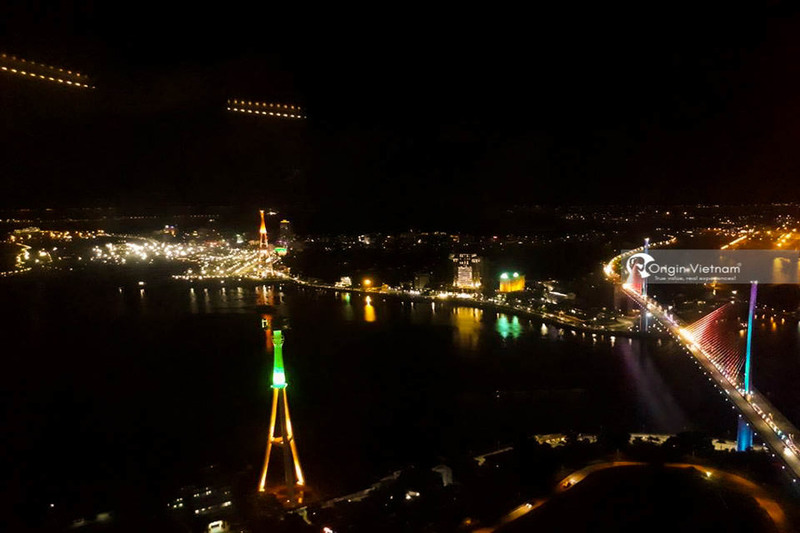 At this time, with tens of thousands of led lights, Sun Wheel is like a beautiful sun shimmering and brilliant in the dark night of Ha Long Bay. Should we bring food to Sun World Halong Park? To support the journey to explore the Sun World, there are many restaurants are arranged throughout the play area so you are not completely carrying arm to eat what to do. At the top of Ba Deo, there is Taiyo Restaurant - serves set menus or menu dishes. Dragon's Food Temple serves buffet. Pizza Temple with many pizza combo and fast food. Food and drink here are very rich, affordable. Restrict to bring food, drinks. The park is quite wide, so you can enjoy your best day out with soft shoes or sports shoes. The park has the very spacious parking lot. If you are traveling by motorbike, please send and pick up the car in the parking lot near the Queen's pillars, opposite Hong Hanh 3. You can use the tram service to take you to the park gate. for 5,000 VND / time. Buying souvenirs: Da Cham and Nhat Anh souvenir shops system have hundreds of rich and diversified product designs. Here you can shop for unique and interesting gifts for loved ones.